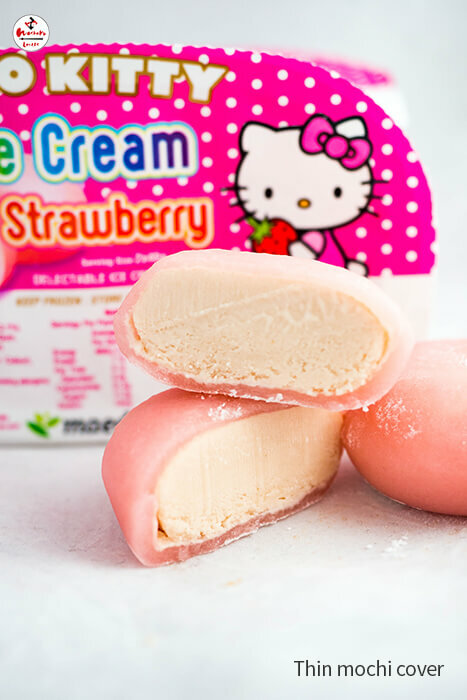 Hello Kitty is the adorable Sanri ocharacter who has just about every product imaginable. 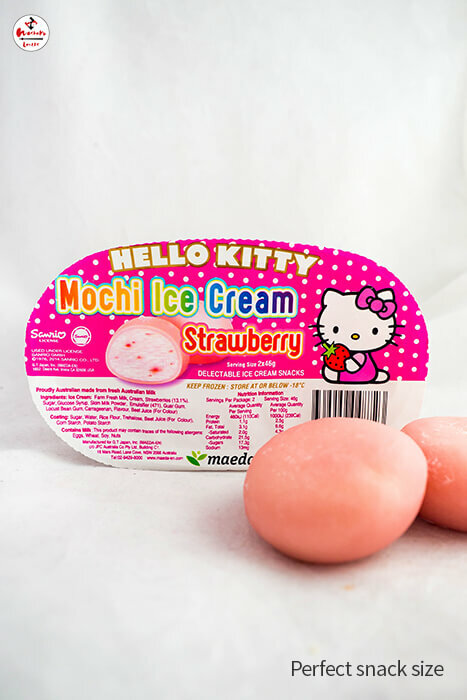 Of no except is this delightful strawberry flavoured ice mochi. 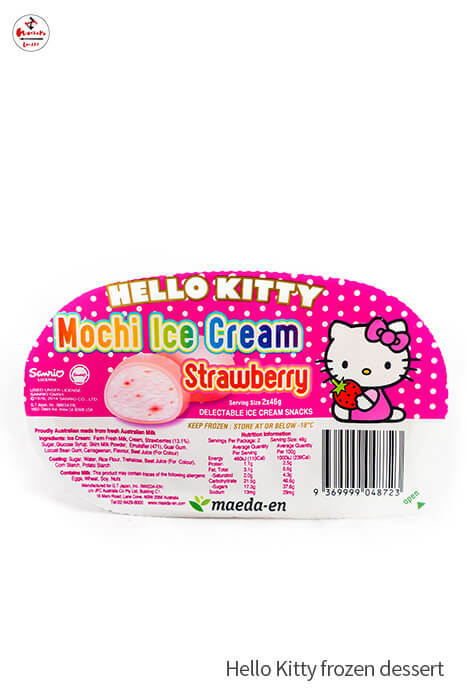 With a thin mochi coating, bite into this refressing frozen dessert, the perfect size for a little treat and great in the Summer heat. 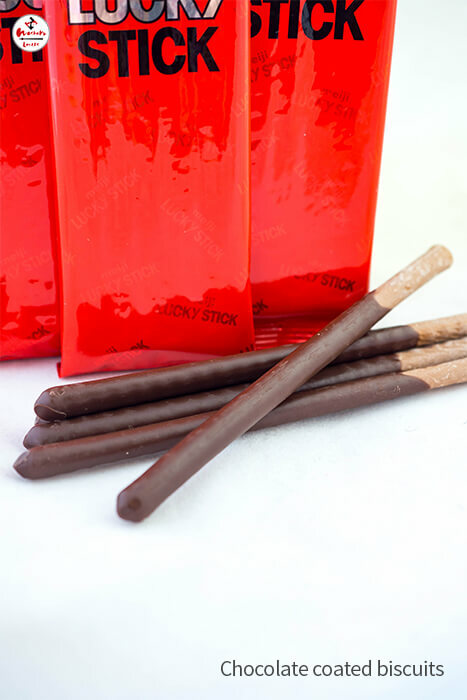 A crisp biscuit stick dipped in creamy frosting! 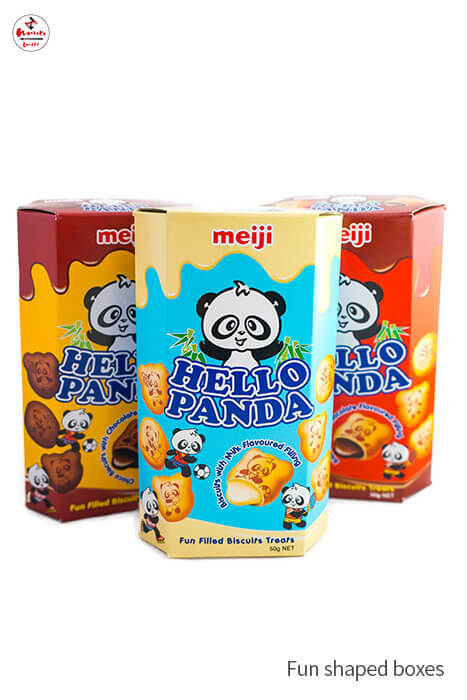 Perfect for nibbling on while studying or working. 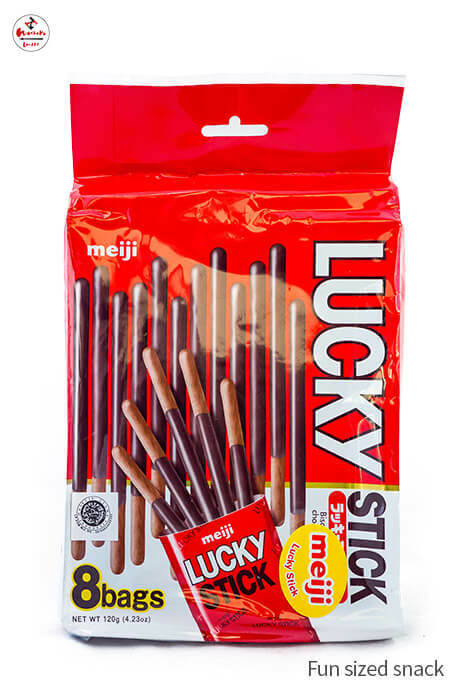 Buy a share pack for when friends come over, or keep a stash in your desk drawer. 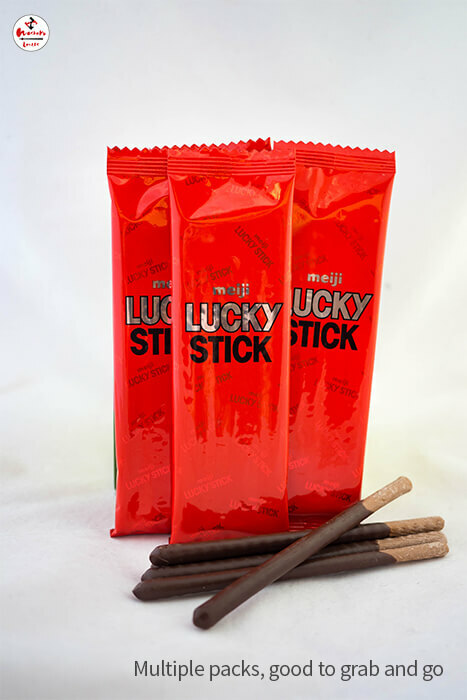 Lucky Stick Family coated biscuits will satisfy even the sweetest tooth. 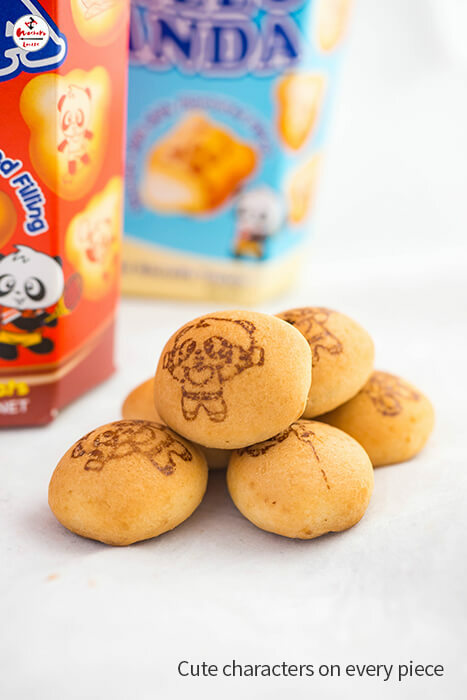 Open the box to find cute panda shaped biscuits, then bite into them to find a creamy surprise filling. 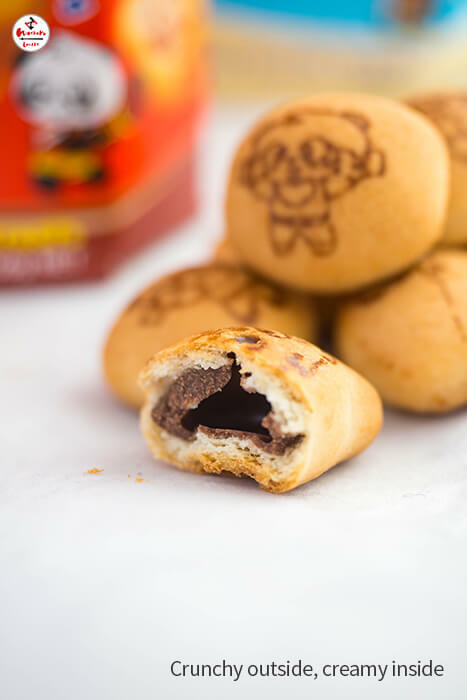 This easy to share snack is great for school lunch boxes, or put it in a bowl to share at parties! 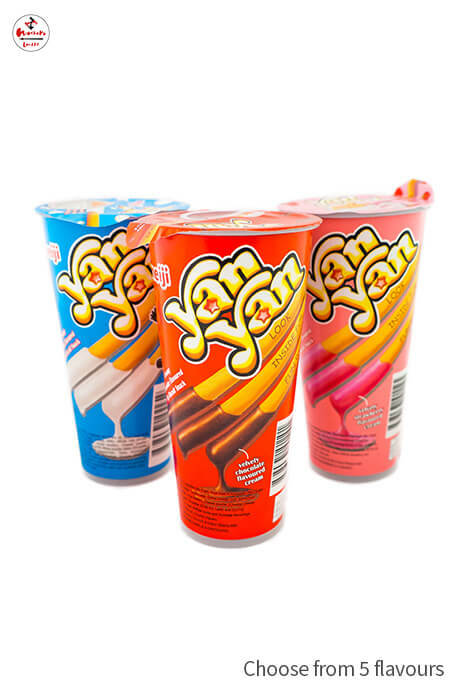 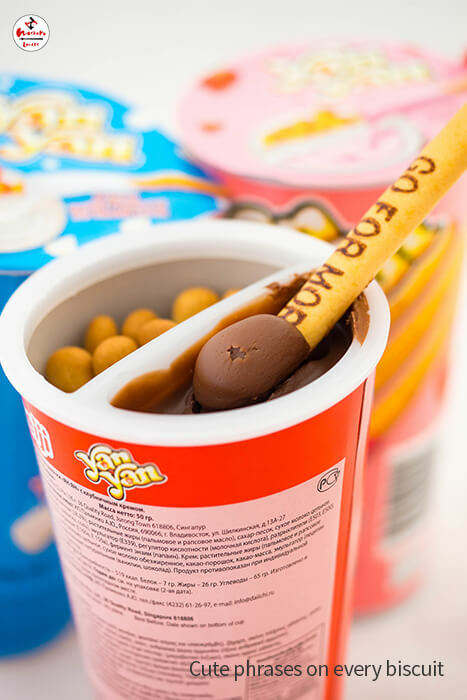 A childhood favourite, MEIJI Yan Yan Choco is separated into 2 compartments to keep your biscuits fresh and your cream untouched, take pleasure in breaking the smooth surface of the cream with the first dip. 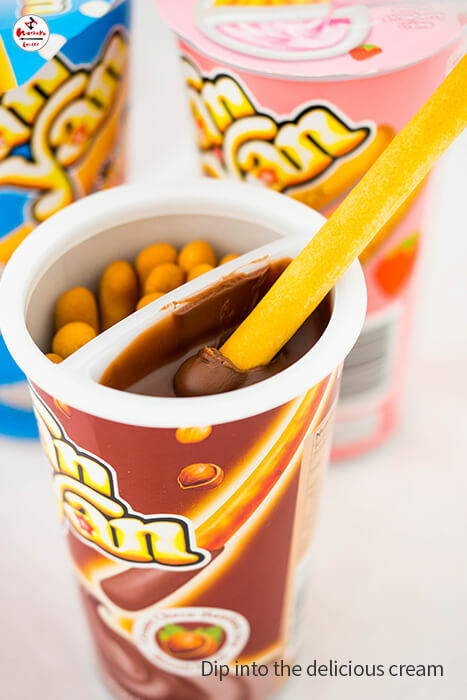 Dip the biscuit sticks into the flavoured cream to eat – perfect your biscuit to cream ratio so you don’t run out of one first!